This is the best carrot cake ever ever ever. 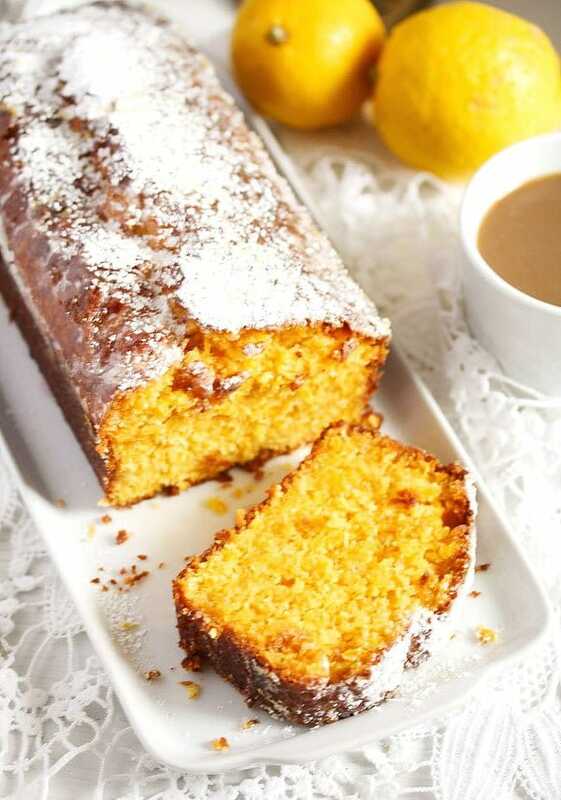 Super moist and tender loaf cake with carrots and coconut, topped with a lemon glaze, it really cannot get any better! This is one of the rare recipes that I have been making over and over again for years. I discovered the recipe in an old issue of Good Food that was lying around in the coffee room at my former workplace in London, copied it out and then promptly forgot it. After returning to Germany I found the recipe again and gave it a try. Since then I must have made it dozens of times. It was one of the first cakes I have ever made. You can make it easily, no matter how experienced a baker you are and you will be sure to impress everybody. I mean, look at that color, who needs a fancy decorated cake, when you have a color like that without any extra effort. And it does taste amazing, I have yet to find anybody who didn’t like it. 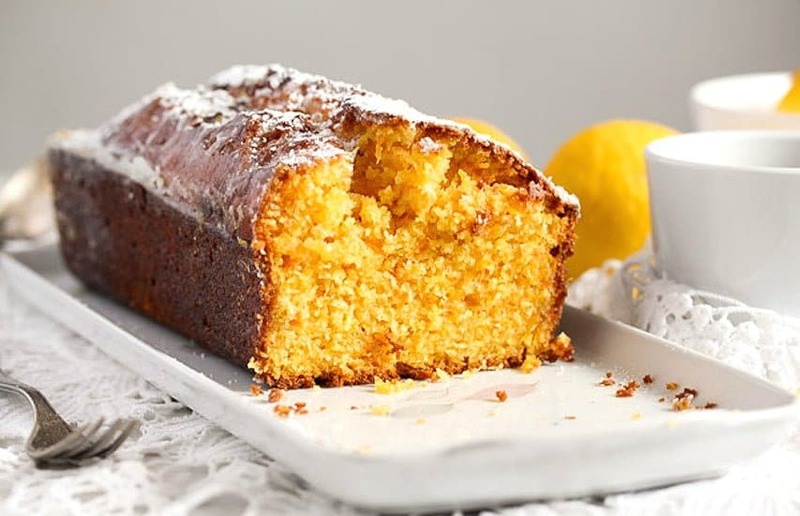 It is unbelievably moist, it tastes of carrots and coconut and has a wonderful lemon flavor due to the lemon glaze, which trickles into the cake through the wholes you will have to poke into it after it is baked. Store the cake airtight and it will remain moist and delicious for several days. I have purposely not given a cup amount for the grated carrots, because the cup measuring would be too inaccurate in this case. If you squash the carrots too much into the cup you will have too much of them, if you pack them too loosely you will not have enough. So, do yourself a favor and weigh them properly. Use unsweetened desiccated coconut flakes for the cake, if you use sweet ones, the cake will be too sweet. I think coconut flakes for baking only come in the unsweetened form in Germany, the only sweet ones I have ever seen are the very large one for snacking. But I have read in many recipes that they also come in a sweetened form in other parts of the world, so if they do, make sure you don’t use those. 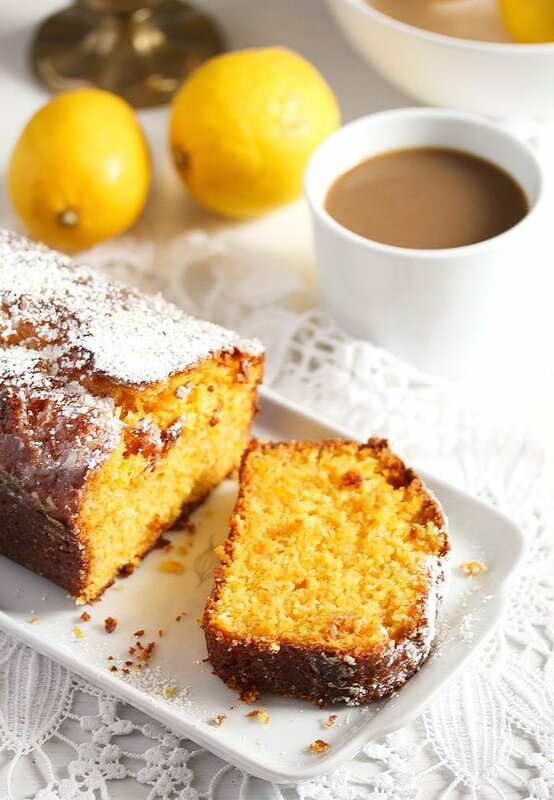 The amount of icing sugar you need for the frosting depends on the size of the lemon. If you have more juice, you will need more sugar. Also, if you like to have a stiffer frosting you can use less lemon juice, but I prefer the frosting to be a little wetter than it normally is, this way more of the juice gets into the cake, making it even moister and tangier. 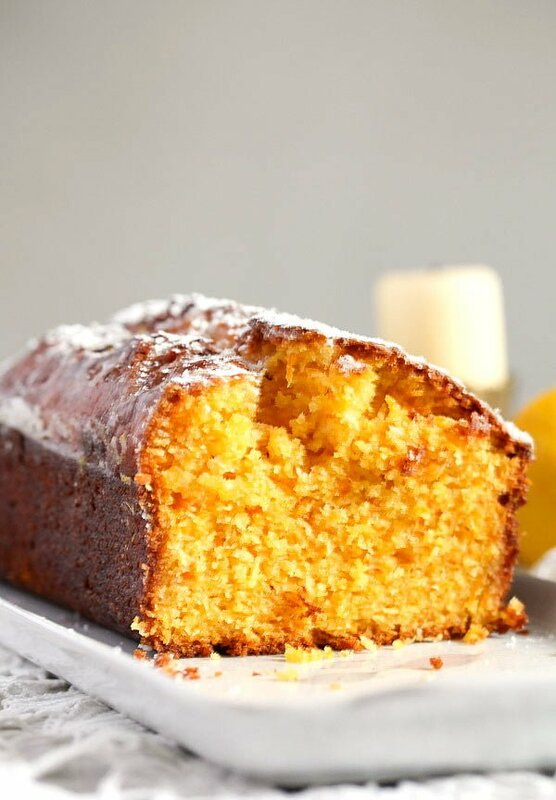 I use oil to make The Best Carrot Cake with Coconut and Lemon Glaze, I think that also contributes to its being so moist. The original recipe suggested a sunflower oil and that was what I used to take, but nowadays I prefer to use a more neutral tasting canola oil. The sunflower oil taste was good, but still I prefer to taste more the carrots, coconut and lemon than the oil. I always recommend using Dr. Oetker baking powder for best results when baking my recipes, this is the typical baking powder used in Germany and in Europe and it is single-acting baking powder and not double-acting like the American baking powder. 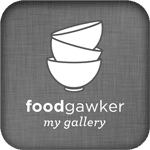 One important thing when baking with single-acting baking powder is to preheat the oven before you start mixing the batter, and give the batter to the oven immediately after mixing it. 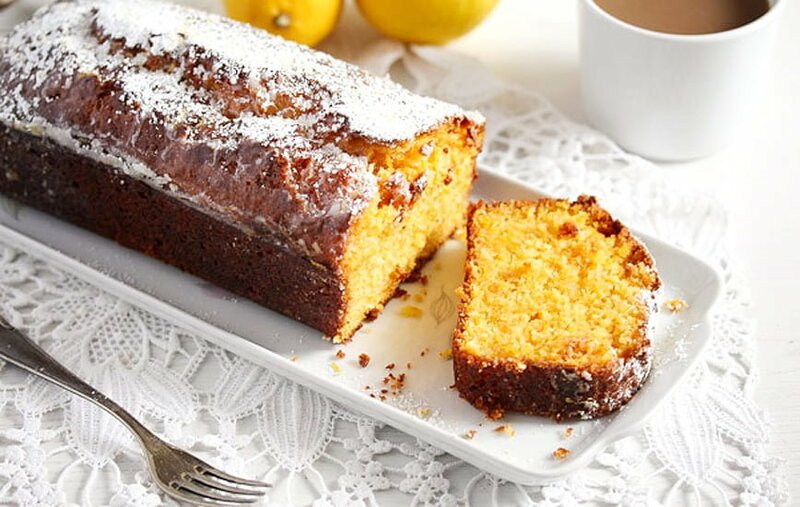 If you leave it for a while, the baking powder will loose its power and the cake will not rise. Ahh, just talking about this cake makes me drool, it really is one of my favorite cakes!!! Preheat the oven to 180 degrees Celsius/ 360 degrees Fahrenheit. Butter a loaf tin of 26 cm x 9 cm/ 10x 3.5 inches measured at the base of the form. Peel and weigh the carrots, you should have 280 g/9.9 oz prepared carrots. Grate the carrots on the finer grater. Sift together the flour, baking powder and salt. Add the sugar. Beat the eggs shortly in a medium bowl. Add the zest and the juice of only 1 of the lemons. Add the oil and the vanilla extract, then carefully fold in the flour mixture. Add the finely grated carrots and the coconut to the mixture and pour everything into the prepared tin. Bake for about 55 - 60 minutes until a skewer inserted comes out clean. For the frosting mix the juice and zest of the second lemon with enough icing sugar to form a paste. The amount of sugar needed depends on how large and juicy your lemon is. The paste should be runny enough to be easily spread on the cake and to be able to sicker into the wholes you poked into the cake. Prick the top of the cake with a toothpick all over and pour over the frosting. Let the cake cool completely. Store in an airtight container. If you have made this over a dozen times, I KNOW it has to be good! Love the coconut and carrot pairing with the lemon flavored frosting! I don’t think I have ever had carrot and coconut together before, but I bet it tastes amazing! Plus, there is carrot so it’s healthy which means I can eat the whole cake… right? 😉 #Winning Cheers, girlie! This cake is right up my alley, Adina. It looks and sounds amazing—I love the sound of carrot, coconut, and lemon together. Pinning. They do fit well together, Thao, this is really one of my favorite “dry” cakes. What a beautiful sweet bread! And that glaze looks like perfection! Thank you, Rachel. The first times I have made this cake I left the glaze out because I thought nobody needs the extra sugar. But I have to admit it definitely belongs on the cake, the lemon in it makes things complete. Good, that you put the dry in quotation marks. 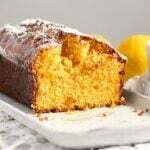 The cake is really moist and gives his whole aroma when it is parceling the mouth. I really enjoyed the cake. What a lovely cake! It looks very moist and that crumb….it looks just perfect. I don’t usually weigh items when I am baking. I know if comes out more accurate, but I just haven’t done it. I’m not a Carrot cake fan , but after I tried a price at a coffee shop here in Frankfurt, I vowed I should make it .I am glad I found you Adina. This is the perfect recipie . I was so impressed I’m scouring your blog to find the perfect recipie for my son’s birthday cake . Thank you, Sneha. I hope you find something you like. 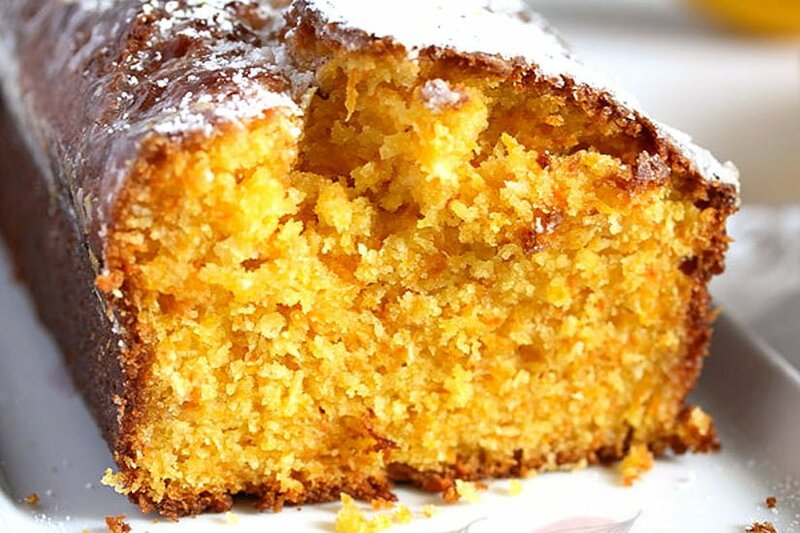 This carrot and coconut cake is our favorite carrot cake, I make it very very often. I tried your recipe this afternoon. It’s really yummy. Did not include the lemon glazing as my hubby is diabetic. Used less than a cup of granulated sugar too.